Traditional scones are made with heavy cream, which makes them very tasty, but also incredibly rich and you will use a good amount of your daily calories in a few good bites. That’s fine with me. Sometimes. But if there is an equally delicious alternative, then why not opt for that? 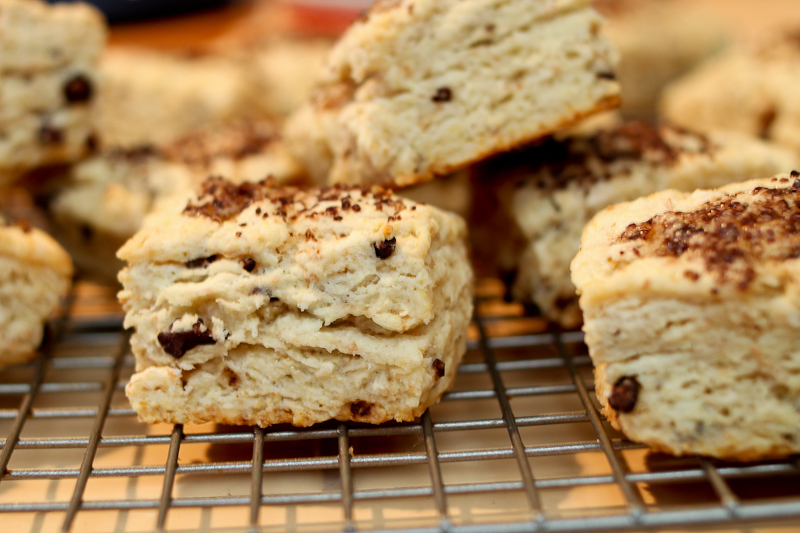 These scones are made with milk instead and enriched with wheat germ. They are inspired by this wonderful book Breakfast Lunch Tea by Rose Bakery. A brit who owns and runs a small bakery in Paris. I have added cocoa nibs to get a sense of chocolate and boost of anti-oxidants. The scones are sprinkled with chocolate sugar from Spice Station, thanks Whitney. Put all the dry ingredients in a big bowl. Use a whisk to blend. Cut the cold butter into small pieces and crumble into the flour with your hands. Mix the cocoa nibs into the dough and pour in the milk. Gently work the dough together with your hands, so nothing is dry, it shouldn’t be too sticky either. You can add more milk, if it is too dry or more flour if it is too sticky. 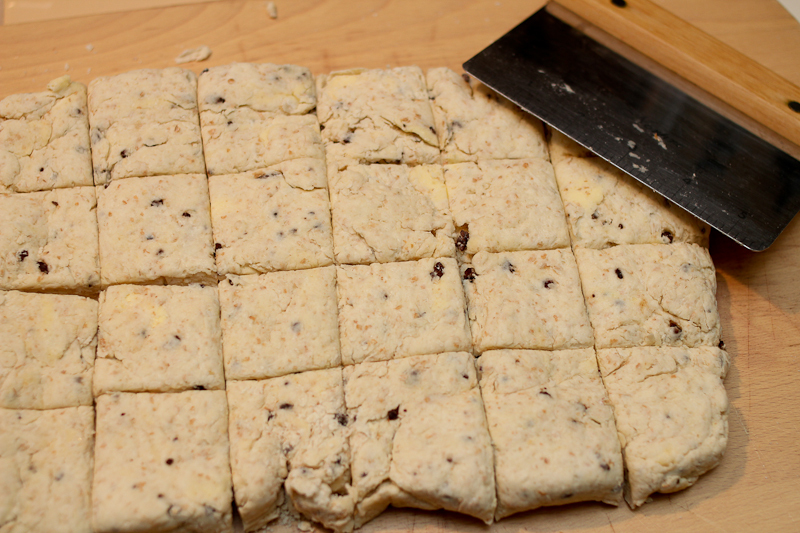 Flatten the dough and cut into desired shapes. Brush the scones with either a lightly whipped egg or heavy cream and sprinkle with sugar, if using. Bake for 15-20 min depending on the size and thickness of the scones. They should be barely golden on top, but golden on the bottom. You can freeze some of the scones before baking. Then simply thaw and bake when it’s time for scones. You can use any kind of milk, from skim milk to heavy cream to soy or nut milks. Add raisins, dried fruits, nuts or fresh blueberries. This entry was posted in Breakfast, Sweets and tagged brunch recipe, cocoa nibs, healthy chocolate scones, healthy food blog, light scones, recipe, scones. Bookmark the permalink. Knus til jer alle 5 – miss you! I have made these twice and they were a huge hit!! Super simple and super tasty!!!! Thank you for your comment. I am so glad to hear that! !